It was Ethan who ultimately made the decision on the vacation house. I’d been assigned the task of finding the perfect home for our yearly family get-together and had narrowed down the choices. Ethan had woken up one Friday night and crawled into bed with me. I had the laptop propped up on my knees and his six year old face and spiky bed head was highlighted in blue from the screen. Experience told me that whatever nightmare had driven him out of his own bed would prevent him from returning to it anytime soon. And, to tell the truth, I could do with a little company on another lonely Friday night. I snuggled him over a little closer so his head rested on my hip. “Okay Buddy. I’ve narrowed down the reunion to a few choices. Here is exhibit A for your consideration.” I clicked on the link to the ocean front condo with a flourish and went over the highlights with him. “Good call,” I concurred and went through the other homes I had narrowed down. Our get-togethers for the last several years had always been at the same old cabin, but the steep stairs were getting too hard on my mom’s knees. And since my dad had met with their financial advisor and realized they were a little more flush with cash than they thought, he was ready to upgrade. When it was determined we could have a new locale, the family’s requests came pouring in. Something near the water. And a hot tub. Not too far a drive. Room to park the RV. Master bedroom on the main floor for my mom. A pool table or foosball for the older kids. Enough bedrooms for everyone. We normally divvied up the responsibilities for the reunion between the different families and I had chosen the task of finding the perfect place; let my siblings take care of the food and activities while they were there. I wanted to get my job done and then just relax at the house. On the third house, Ethan suddenly bolted upright and then squirmed his way onto my lap so that his face completely blocked the screen. “Show me all the pictures,” he demanded, all the sleepiness suddenly vanished from his voice. “Yes sir.” I laughingly complied, wondering what had suddenly gotten into him. I edged him off my lap and then scrolled through the pictures of the lake house. Even though the other homes I had discovered were tempting, this particular house was probably my favorite. Not only did it manage to satisfy nearly all the demands of my family, but the house was beautiful. It sat near the shore of Lake Othello and had been built about 100 years ago. It was Craftsman style and had gorgeous heavy beams and handcrafted glass original to the home. A front porch under deep eaves looked over the lake and an imposing stone fireplace dominated the large gathering room. But according to the website, the new owners had completely renovated everything with new wiring, plumbing (hot water on demand! ), state of the art kitchen appliances and bigger bathrooms with Jacuzzi tubs. There was a gentle slope from the home down to the private dock on the lake where we had use of the home’s two rowboats. There were no motorized boats allowed on the lake. The whole place looked idyllic. “We need to go here,” Ethan announced, jabbing his finger at the picture of the lake house and leaving a fingerprint on my screen. I rubbed my hand over his spiky hair as he settled down to sleep. And then started composing an email to the family telling them I’d found our vacation house. Ethan, Hannah and I made the last bend in the driveway and the house finally stood before us, surrounded by evergreens with the lake sparkling behind. Hannah crowded up behind my seat to get a better view and oohed and aahed the way only a nine year old girl can. And Ethan started bouncing up and down as much as his booster would allow. Seeing the house made me feel rejuvenated, especially after enduring the traffic to get out here. From the cars parked out front, I could tell we were the last to arrive; my folks, my sister Karen and her husband Spencer and three kids, as well as my brother Rich, his wife Stacy and two teenage boys were already here. I was happy we had chosen a new locale for our get-togethers. I had gotten divorced nearly two years ago, but Mike and I had one of our biggest blow-ups at the old cabin and it overshadowed a lot of the good memories for me. Being a single mom was exhausting and it would be nice to bask in some extended family love and support for a week. As soon as I put on the brake, both kids were out of the car and running inside. “Hey, who’s going to help me with the suitcases?” I yelled after them. Alerted by my kids, Rich and my dad immediately came tromping down the wide plank front steps and volunteered to help. My dad enveloped me in a giant bear hug. “Dana, it’s so good to see you! How was the drive?” Both my dad and Rich chatted me up as I pulled our luggage out of the trunk and helped me into the home. The view from the driveway whetted my appetite, but I knew upon entering the house that Ethan had made a great choice when he had demanded this home. I joined my dad and Rich in the kitchen where they had been assigned dinner duty. I had just missed the other adults who were off exploring the beach. I lazily turned back and forth on a stool at the breakfast bar while the two men took stock of the kitchen. The kids were running wild in and out of the house, trying to see everything at once. Hannah and Ethan made a pass through the kitchen and I managed to grab Ethan and cuddle him to me before he could escape back outside again. “Is it all you were hoping for?” I asked. “It’s different but all the important stuff is still here,” he explained ready to bolt out the door. I froze as he spoke. Before-you-mom? I put Ethan’s wriggly body on the floor, but held on to his shoulder. Was this something my ex had told him? It didn’t really make sense, but it was the only thing I could think of. “What mom are you talking about Ethan?” I tried to make my voice calm, but was starting to seethe inside. Mike had had a serious girlfriend right after we broke up. A girlfriend that I suspected was not a woman he met on the rebound, but rather a catalyst for us breaking it up. That relationship didn’t work out and since then Mike had entertained a string of short-term women. Leave it to Mike to introduce his girlfriend as a new mom or something. Or at least not correct Ethan when he called her that. And what kind of stuff had she given him? I frowned at Ethan, cognizant that my brother and father had stopped putting groceries away and were looking wide eyed at my son. I had no idea where Ethan could have come up with an idea like that. My grip on his shoulder fell slack. A trio of cousins ran through the kitchen at that point and Ethan joined them on the way out the door. He shouted a goodbye before I could come up with any kind of response. “Well, that was a little creepy,” Rich said, breaking the awkward silence left in Ethan’s wake. “It’s probably some story Mike told him and he got confused is all,” I said groping for an explanation. The truth is, Ethan’s words had left me feeling disturbed and the whole home was suddenly feeling much eerier than idyllic. I plopped down on the bar stool, feeling rather weak. “It’s Mike who’s creepy if he’s telling stories about before-you-moms,” my dad chimed in. Dinner that night was as chaotic as one would expect, with a house full of cousins, teenagers, and laughing adults. The five younger kids sat at barstools by the gorgeous granite counter, while the adults and teenage brothers, who at thirteen and fifteen were much too old for the “kid table,” sat around the chunky wooden table next to the kitchen. Everyone was talking and laughing at once, catching up with each other and swapping stories about their summer so far. I had a difficult time focusing on the conversations going on around me, however, as the chill left from Ethan’s odd behavior still haunted me. What could he possibly mean by “before-you mom?” It didn’t make any sense. Suddenly I realized that my sister Karen was asking me a question, and I hadn’t heard a word that she had said. “Hey, when have you ever listened to your big brother, anyway?” Rich said with a shrug and a laugh. Stacy, Rich’s wife, was listening intently. “But what do you think could have brought on such a strange conversation?” she asked. “I really have no idea,” I said, then shrugged. “It was probably nothing. He probably didn’t know that he wasn’t making any sense.” I was still concerned over the matter, but I didn’t like how Karen and Stacy were looking at Ethan, like he needed to be psycho-analyzed or something. He had been through plenty of trauma from the divorce, all three of us had, and I didn’t want to add to that trauma. I decided that I would just keep a close eye on Ethan, under the radar. One of the best features of this house was its size. It had a lovely, updated master bedroom suite on the ground floor, with four other bedrooms upstairs, in addition to a giant playroom. The upstairs was mostly untouched, as far as renovations go, so it had a lot of the original charm and details from when it was constructed over one hundred years before. The younger cousins were already staking out their own little plot of floor space in the playroom, rolling out their sleeping bags and piles of stuffed animals, when Ethan leaned in close to me later that evening. “Can I come stay with you in your room?” he asked, taking my hand in his small one. Ethan cuddled up close to me again, indicating his choice. Was he suddenly getting shy? I guess it had been a while since he had spent time with his cousins, and we were in a new place. I led him down the hall to where my room was. The door was old and heavy, with the white paint peeling off in the rustic style that only old houses can truly pull off. I turned the floral engraved brass knob and a gust of cool air swept over us. “Wow, who needs air conditioning in a drafty place like this?” I joked, but noticed that Ethan had tensed up. “What’s the matter, Ethan?” I asked. “What are you talking about, Ethan? Whose room is it?” I was getting the chills again, and I didn’t like the way my son said HER, like he was afraid. “My sister’s,” he said simply, pulling his hand from my own. “I think I’ll stay with Hannah instead,” he said, then turned and walked back to the playroom. I stood dumbfounded in the doorway. What was Ethan talking about? What brought all this strange behavior on? He seemed fine this afternoon when we had arrived, even giddy with excitement, but now that it was night, his mood was completely transformed. What was happening with my son? I pushed the door open completely and walked in. My bag was already inside on the floor, where Rich had deposited it earlier. There was a double bed, with an ornate wrought iron bed frame, and an assortment of vintage mirrors and picture frames placed decoratively above an ivory colored chest of drawers. But what caught my attention the most was a collection of porcelain dolls filling several shelves which were opposite the bed. Their glass eyes stared blankly at me from across the room, giving me an involuntary shudder. I got ready for bed as quickly as I could. The draft was making me cold and the dolls were creeping me out. I turned on the light by the bed and then I turned the overhead light off and jumped into bed. I pulled out the chick lit I’d brought to fill in the hours and started reading about love and romance that always lasted, at least until THE END and I closed the book on another successful romance. It was always a way for me to escape, only tonight I kept peeking glances at those porcelain dolls. I didn’t like them. After half an hour, I got up and turned every single one of the porcelain dolls around so that they were now facing the wall instead of me. I felt a little better. I quickly turned off the light and willed myself to sleep quickly. I woke up to noises and it was still dark outside. It sounded like the cousins were sneaking around the house. I groaned. Cousin sleepovers! I rolled over and hoped that one of the other adults could be the bad guy and tell them to go back to sleep. It was then that I realized the rustling was coming from my room. Perhaps Ethan had had a change of heart and was coming to sleep with me after all. I didn’t sit up but called out, “Ethan…Ethan.” No response but still there was some rustling. I groaned again. Why couldn’t that kid just get into bed so we could both go back to sleep. I rolled over and switched on the light. There was a swish and it looked to my sleep deprived eyes like a young woman in a long skirt had just walked through the wall. I quickly made the sign of the cross, out of habit, and I managed not to scream although I wanted to. I made the sign of the cross again, this time because I wanted divine guidance. I took a deep breath. My imagination must be overreacting and I didn’t really see anything. I took another deep breath and I looked around the room. There was nothing. I was being silly. I wanted to laugh about it but I wasn’t able to yet. One more glance around the room to reassure myself that there was no one in the room with me and then I knew I had to turn out the light and go back to sleep. I was just about to turn out the light when I realized I was looking right into the eyes of a porcelain doll, many porcelain dolls, all sitting neatly on their shelves where they had been before I turned them all around. That was enough for me. I was out of there and running down the stairs before I could even start to think rationally. I got downstairs and turned on all the lights and sat on the sofa, trying to figure out what possibly could have happened. I had no explanation and I wasn’t willing to think about the girl I might possibly, could have, maybe seen in my room. I couldn’t seem to stop my hands from shaking but I knew one thing for sure, I was not sleeping in that room and I didn’t want to be alone. I couldn’t sleep with any of my siblings and their spouses or my parents or the teenage boys as the explanations would be too difficult so I crept back up the stairs and headed into the playroom. I found a spot by Ethan and snuggled in with him. “Ethan, what are you talking about?” I asked. “Me too. But what do you mean by your sister and her showing up? She’s in here with you, sleeping over there by your cousin Mary,” I said. “Not her, my other sister,” Ethan said with a big yawn at the end. “Yes, Ethan, we’ll talk more in the morning,” I replied and hooked Ethan under my arm. It helped me feel better to have someone close, someone who relied on me to be level-headed. I knew this would all seem better in the morning, in the light. Things were not better in the morning. I woke up and my back hurt, my head hurt, my side hurt, everything hurt. I was going to have to do something about the sleeping arrangements. I didn’t want to spend my entire vacation sleeping on the floor of the playroom. I tried to get up off the floor and could hardly move. I had to roll onto my side and then onto my knees so I could push myself off the floor. I groaned, it was official, I was too old to sleep on the floor anymore. I was the last one out of bed (or the floor in my case) in the morning and I got a lot of teasing from my brother Rich when I finally got downstairs. “Just pass me my hot chocolate,” I said. It was my drink of choice in the mornings. Everyone knew to bring my hot chocolate. They could have their coffee, lattes and other specialty drinks but I, I needed my hot chocolate. “My back is killing me. I think I may need to change rooms with the boys,” I said. What was I supposed to say? I couldn’t tell them what had happened and if it really had happened, was I really willing to let the boys deal with it alone. “No, no, don’t worry. I’m not going to make you boys move. I was just joking,” I said. My sister Karen just gave me an odd look. I knew she was going to quiz me about it later. I knew I couldn’t make the boys sleep in that room. I’d just have to talk to Ethan today and figure out what this was all about. After we’d all had breakfast and the kitchen was cleaned, Ethan asked me if he could go to the tree. “The tree?” I asked. There were trees everywhere. It was time to get to the bottom of this strange behavior of Ethan’s. “Can I come in there with you?” I asked him. “Sure,” he said. He sat on the ground with his knees tucked up under his chin and I scooted in next to him. I was sitting uncomfortably on a root but I ignored it. “You slept in the playroom,” he said. Was he dodging my questions? I probably shouldn’t have fired so many questions at him at once. “That’s Sarah’s room,” he said. “What do you mean, before?” I asked, I struggled to keep my voice calm and even. Had he suffered a head injury I didn’t know about? Was this just his active imagination? “Can I show you something?” he interrupted. He scrambled to his feet and started down the path. I hurried after him. “Henry and me,” he said. “Henry?” Now I knew my voice didn’t sound calm at all. I didn’t say anything because I didn’t know what to say. I was wondering if I should get Ethan an appointment with some sort of therapist. Maybe the divorce had been more traumatic than I thought. “Don’t tell Sarah I went to the lake,” Ethan said. He turned around suddenly and had an urgency in his voice. “I went to the lake,” he said. He looked like he was going to cry. “I knew I wasn’t supposed to go but I couldn’t find Henry and I was looking for him and then I started throwing rocks...and…” Now he was crying. “You’re not in trouble,” I said. I picked him up and he put his arms around my neck. “It’s going to be OK,” I repeated. But would it? What had happened to my little boy? Why these delusions or hallucinations or whatever they were? I was definitely going to make an appointment for him. By the time we got back to the house, Ethan was feeling better. He had dried his tears and started chatting about a cartoon. When he saw his cousins playing on the tire swing, he slipped out of my arms and ran to play with them. “Hmmm,” I said, I was too exhausted and my mind was too agitated to care much about the Wilsons. Karen always loved history. She was the type that read all the signs at historical markers and in museums. A rush of air passed by as Karen spoke. It was an icy, eerie wind that was too cold for summer. Karen’s face grew pale and she dropped the book and backed away from me. “Dana, what’s going on?! Dana!” She went to touch me, but a look of fear came over her face. “Dad! Dad!” She screamed and ran to find him. I felt tired; I couldn’t keep my eyes open. I woke up to find a small crowd around me. My Dad was shaking me and slapping my face. Karen wouldn’t come near me. She looked terrified. Dad led me into the house and sat me down on the couch near the fire. “Tell me what happened.” He demanded. “I don’t know. I just got cold and really sleepy.” I yawned and tried to go back to sleep. “Dana! You have to stay awake. Stay with me.” He was being so firm, I couldn’t understand why. “Karen, tell us what happened.” He called her closer, but she was sobbing now and could barely talk. “Her face…She didn’t look right. Her face looked…It looked like someone else.” She knew it sounded crazy, and by the looks everyone was giving her, they thought Karen was losing it. “I know what I saw!” She screamed at them. “I told Dana about a boy named Ethan that died here in the lake and then she…she didn’t look the same.” The porch door slammed shut. Everyone jumped. “Who? Ethan, who was here?” I knew the answer before I asked. “What secrets? Ethan, why doesn’t she want us here?” I could see my breath as I spoke. The lights flickered. I gripped Ethan’s arms, terrified for him. My thoughts flashed to the little boy Ethan, my Ethan?, splashing helplessly into the water. I was beginning to panic, but reminded myself that Ethan was not fighting for his life, but was right here before me in the flesh with only a cut hand. I had meant to have a private conversation with Ethan, but when I looked over his shoulder it was clear the rest of the adults had heard everything. My mom stepped up and interrupted us with a solid voice, bringing both Ethan and me back to reality from our surreal conversation. “Dana, you look like you could sit down. Ethan, I have some bandaids in my purse. Will you help me find it?” While my dad led me back to the couch, my mother took Ethan firmly by the hand and guided him into her bedroom. I could overhear my mother telling Ethan she would make sure to go outside and watch him play after he was all fixed up. “Dana, what’s going on?” my dad asked quietly. Karen was still shook up; she sat huddled up in the corner of the couch with her husband’s handkerchief pressed to her face. Spencer himself stood behind her, hands protectively on her shoulders. Rich and Stacy looked on somewhat bewildered with the events of the last few minutes. I began recounting everything that had happened since our arrival; the strange conversations with Ethan, the creepy dolls and the visitor from last night; Ethan’s tour of the property with the tree and the lookout; the story of Henry and Sarah. No one said anything. We listened to the rest of the kids playing happily outside in the sunshine, unaware of the chill that had taken over the home and our lives. I don’t know how much of my story the family believed, but it was obvious that Karen and I--and especially Ethan were not doing well in that home. Our impromptu family council decided that we were done with the house; the rest of the week’s rent could be forfeited for our sanity. The trick was to break the news to the kids, pack up and leave and maybe find a new place without freaking out the younger set or disappointing them too much. With the exception of Ethan, none of the children had any inkling what was going on. We called the owners to tell them we had a family emergency and were leaving early. I didn’t mention it was the “we’re scared witless and I’m thinking either my son needs some significant clinical help or may have actually come back from the dead” variety of emergency. The owners didn’t sound surprised at all, but certainly didn’t offer us a refund. They just asked us to checkout and drop off the key at the neighbors’ house. The Stewarts were year round residents and did the cleaning and upkeep on the home. I volunteered to run the key over while everyone else endured the kids’ whining and moaning about leaving and finished packing up. The Stewarts’ home was much smaller, but was the same age and almost as picturesque as the one that Ethan had insisted on renting the night he crawled in bed with me seeking refuge from his nightmare. Annabelle was a friendly soul who tried to make small talk with me as I filled out a form verifying our information for the return of the deposit. She also very gently prodded to find out why we were leaving early, but I was tight-lipped until she mentioned in the course of her one-sided conversation that their home had been in the family since it was built. And that her grandfather Henry was living with her now. Annabelle could sense how that last little tidbit of news transformed my whole countenance. She offered to introduce me to Henry and I greedily accepted. Henry sat on the back porch, his body bent into a wicker chair facing the lake. Even in the summer’s warmth, his flannel shirt was buttoned all the way to the top and a lap quilt trailed onto the floor. Annabelle introduced us. He grasped my hand with his gnarled one in a surprisingly strong grip and invited me to sit in the other wicker chair. His wrinkled face indicated he was likely in his 90’s. Henry’s eyes were clear and kind. “I see you rented the old Wilson place,” Henry began. His matter-of-fact tone about it would normally strike me as ridiculous or creepy, but it was actually slightly soothing to me now--somehow confirming that I wasn’t just crazy. “Actually, I think Sarah has hurt my son Ethan.” I recalled the injured hand and the scared face of my youngest. Henry grabbed the arms of the chair and sat ramrod straight as I mentioned the names of the former occupants. Henry shifted his weight and gathered his thoughts. “The Wilsons were an odd family. They had their children late in life. Sarah came first, but was homely and sour. Rumor has it she ran off several nursemaids with her fussing even as an infant and then when she was older. . . well, I guess folks would say she was a very unpromising child. The proverbial bad seed. But if Mr. and Mrs. Wilson had treated her right, things may have turned out differently. When Ethan was born a few years after Sarah, her parents ignored her in favor of the boy. I guess anyone could turn bitter and jealous. Ethan was a smart, handsome, cheerful boy--apple of his father’s eye. Even as a young boy, Mr. Wilson was grooming Ethan to take over the business. Those parents ignored Sarah as far as I could tell. She was only ten years old when it happened.” Henry’s voice trailed off. I could tell he was years in the past. Henry settled himself in, ready to share with me the things that had imprinted themselves in his brain. “Our family had spent summers here for years, but I had been sickly--had polio when I was younger. I made friends with Ethan. He used to come and visit me when I was laid up here in the home.” Henry indicated the house behind us with a wave of his hand. “We played with my toy soldiers, teased my sisters. He was a good friend.” Henry smiled at the memory of his friend Ethan and I couldn’t help but think of how much I loved my Ethan too. A wind had picked up off the lake and I found I was starting to shiver even in the bright July sunlight. 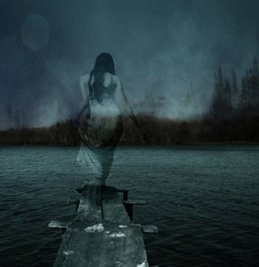 I stared out onto the lake and could see the dock where everything had unfolded. The normally serene lake was beginning to ripple with the stiff breeze. My heart started to thump and my muscles twitched with a fight or flight response. I only had experience with Sarah’s ghost. I knew nothing of the mother. Was Henry saying that Sarah wasn’t the only ghost next door? Maybe the mother’s spirit was still trying to get close to and protect Ethan. Then again, maybe I did know Mrs. Wilson’s spirit. I thought back to a short while ago when Karen insisted my face changed to someone else’s and I had been so drowsy. Could it have been the mother trying to take me over? If she were capable of murdering her own daughter, then what else was she capable of? And would she love me or despise me for taking care of her son? I mumbled my thanks to Henry and took off sprinting from the porch straight back to the lake house and Ethan. I took the front porch steps two at a time and burst through the door. There was the normal level of commotion that happens whenever my family gets together, but my frenzied entrance caused everyone in the room to freeze and stare at me. “We have to go NOW!” I yelled. My dad was closest to me and took me by the arm. He spoke to me in mellow, soothing tones, much as he had when I was a child. “Honey, you need to stop. You’re scaring the children. We are leaving. But we need to pack our things. I can see you’re ready to leave. Why don’t you take Ethan and Hannah now. We’ll grab your stuff for you and meet you in a bit. Rich found some cabins about a half hour from here and we’re checking for vacancies right now.” My dad pointed to Rich who was busy with his laptop at the kitchen counter. Upon hearing his name, Rich gave a half-hearted wave and then returned his attention to the screen. I nodded at my dad’s suggestion and tried to control my breathing. It wasn’t only my record setting sprint that had me fighting for breath. I called for Hannah and Ethan and they both tromped down the stairs from the upstairs playroom. With my mom’s help I herded them out the door and into the car. While I made sure the kids were buckled in, she gave me quick directions to the new cabins. I would have peeled out if I had been on pavement, but as it was, I blew up a choking cloud of dust in the dirt driveway as I sped away. We made it several turns in the long driveway before the car died completely. It didn’t even sputter. It just lost power and died. “No! No! No!” I yelled at the car as we slowed to a stop. When was the last time I had taken the car in for service? That had always been Mike’s thing and I had been so busy. When you’re a single mom with two kids, who has time to give TLC to the car too? I tried to calm myself. “Don’t worry kids, we’re not far from the house. We’ll just walk back and get a ride with someone.” There was no response from the backseat. “Kids?” I swiveled my body and stared wide eyed behind me. A scream tried to work its way up my throat, but it stopped halfway and I choked on it, unable to let it out. The figure disappeared as I turned with dread to see what could frighten a ghost. The air in the car turned frigid and a humming started in my head. My terror became dulled. What was I so worried about? Everything was going to be okay. I just needed to sleep for a little while and then we’d figure things out. I came back when Hannah slapped me across the face. Hard. My mind may have been sleeping, but my body hadn’t been. I was holding a squirming Ethan in my vicegrip arms. I had left the car and was now several yards into the woods, heading in the direction of the lake. Hannah was screaming and beating at me with her arms. “Mom, come back, come back!” she yelled. I had to make some kind of decision. 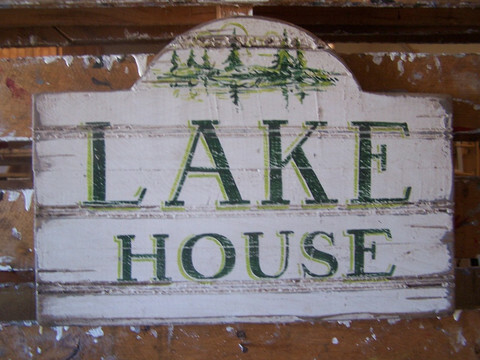 Should I head back to the lake house and try to get some adult reinforcements in case the sinister before-me-mom tried to inhabit my body again or should we press on trying to outrun her presence? Did the woman have some kind of geographical range she could operate in or would she continue to haunt us now that she was aware Ethan was back? Was Sarah being honest or was she really evil? I couldn’t believe I was considering these questions. How do you make choices when you have no knowledge of this weird dimension you’ve suddenly been transported to? I tried to think of any horror/ghost movies that ended up happily. How did the family survive in Poltergeist? I couldn’t remember. Did they run away? Was I going to have to go into head-to-head battle with this other mother? What happens when a ghostly mother-bear takes on a mortal mother-bear? How do you permanently defeat someone who is already dead? I was fervently wishing that we had never taken this vacation--that I was at work today at my job, sorting out the company’s accounts while trying to decide what to make for dinner after picking the kids up at day camp. I made my decision. I figured we better head back so my family could help me if I succumbed to the presence of the mother again. Whatever happened, I better have reinforcements. I decided to try the car again before we started hiking back and it started right up. I told the kids to get in and both Hannah and Ethan looked at me like I was crazy--which frankly was the way I probably would have looked at myself too, considering we had just had a visit from the ghostly Sarah in the backseat. “Just do it!” I commanded. I cranked the wheel and somehow got us headed back to the lake house on the narrow driveway. I held up my hand, stopping him in mid-sentence. “We need to leave, but we’re all going,” I said with finality. “We’re ready. I just need to grab your stuff from your bedroom,” my dad informed me and turned to head up the stairs. “No way, Dad! Leave my stuff. We’re going now!” I grabbed his arm to halt him. At that moment, a chill wind blew in from the front door we had left open and traveled up the stairs, slamming doors and freezing everyone in their places. As we all stood in the great room, we heard the voices of a woman and a girl beginning to argue from upstairs. From the room that had briefly been mine, we could hear the sounds of a struggle starting. It escalated. It sounded like furniture was being knocked over. The wrought iron bed scraped above our heads. Pictures fell off walls. And there was the distinct and irregular ping of porcelain breaking. The voices rose and fell over each other, creating a jumble that was hard to distinguish. I could recognize some words: murder, hate, love, Ethan, again, never, mother, drown. And then one of them was wailing, her voice slicing like ice down my backbone. The cry rose and then fell, abruptly breaking off into nothingness. We stared at each other. Even though we were all stock still, our breathing was labored like we had just finished a race. I couldn’t help but wonder if we had just born witness to the same type of scene that Henry had been fighting to forget for decades? Had this mother somehow destroyed her daughter a second time? The silence from upstairs was suddenly broken by the sound of a door opening and footsteps coming down the stairs. All of us in the room who had stood paralyzed through the fight, instinctively became reanimated and we moved like a wild herd out of the house and into the cars. I prayed as we all sprinted that we wouldn’t lose anyone in the human stampede. A frenzied body count on the run and then we all tore away from the house in a crazed caravan, doors finally slamming shut yards down the road. I chanced a peek in the rearview mirror as we careened down the driveway. Hannah had one arm protectively cradling Ethan who lay huddled with his head in her lap. Hannah braced herself against my seat with her other arm. Thankfully, there was no ghostly third passenger in the back seat. I followed my mom and dad’s SUV as they headed out to the main road. They had slowed just enough to convince anyone passing us that our speed was only negligent and not completely insane. As we approached the road leading from the property back to the real world, a figure in a long dress caught my attention. She stood framed by the branches of the birch trees and the dappled sunlight seemed to pass right through her. Please let this be my imagination. Please don’t be following us. Please don’t disable my car again. Ethan was sitting up now and the three of us turned to stare as I gunned the car around the corner. Sarah looked solemn, but gave a hint of a smile as she waved goodbye to us. “Yeah, Baby?” I had to force my voice out. I was feeling glad that Ethan hadn’t been traumatized into being completely mute. Hannah, Ethan, and I settled into a comfortable silence as we followed my parents down the road.